Let us transform your landscaping dream into reality through creativity, integrity and experience. Your home will be completely stunning when you have integrated all the landscaping design elements for both your indoor and outdoor living spaces. Your garden, lawn, and driveway are just as much a part of your home as your living room or kitchen. The secret to having a truly beautiful sanctuary is in the details. 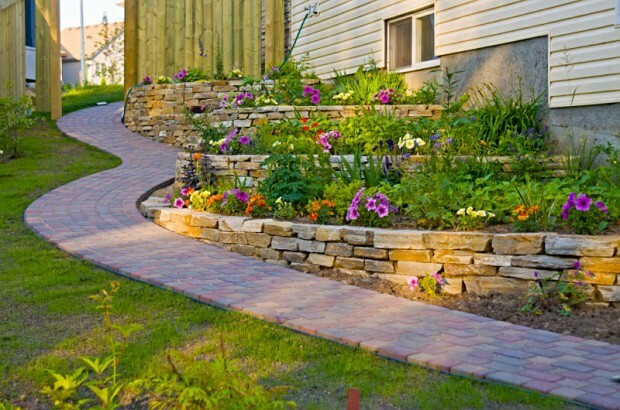 Springfield Gardens, Lawn & Landscape, LLC offers full landscape design service that is guaranteed to bring out the best in your home. From conceptualizing design ideas to picking the right garden ornaments to putting in the most attractive lighting fixtures to highlight your garden, we will stay with you every step of the way so that you can finally have your dream landscaped garden. We pride ourselves in listening to the input of our clients and tweaking their creative ideas to suit the peculiar circumstances of their garden. Shrub and tree size, color, and placement are crucial factors to make your lawn look just right. Allow us to assist you in choosing the right layout for your yard. We understand all the varieties of trees and shrubs, so we know how, when, and where to install them to ensure healthy growth and a long life. We design and install all sizes of retaining walls to add interest to your landscape. Entertain your guests and bring your kitchen outdoors. We’ll help you with the entire planning process so you get the results that you’ve always wanted to achieve. Looking for some creative outdoor kitchen ideas, we can definitely help you. An impressive yard can be difficult to maintain on your own. We are ready to provide you with year-round landscaping and lawn care so that your lawn always looks fresh and well-manicured. So where else can you get everything that you needed to maintain your outdoors? Springfield Gardens, Lawn & Landscape ensures that you get to enjoy your outdoors for the simple reason that we are with you every step of the way from its conception to building it and finally maintaining that oasis for you. Give us a call now and let’s start realizing that dreamland for you.